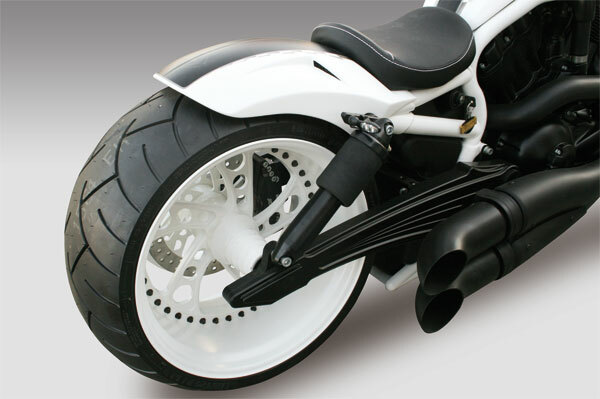 Turbo rear fender is hand laminated and made of fiberglass and can fit V-Rod, Night Rod and Muscle models. 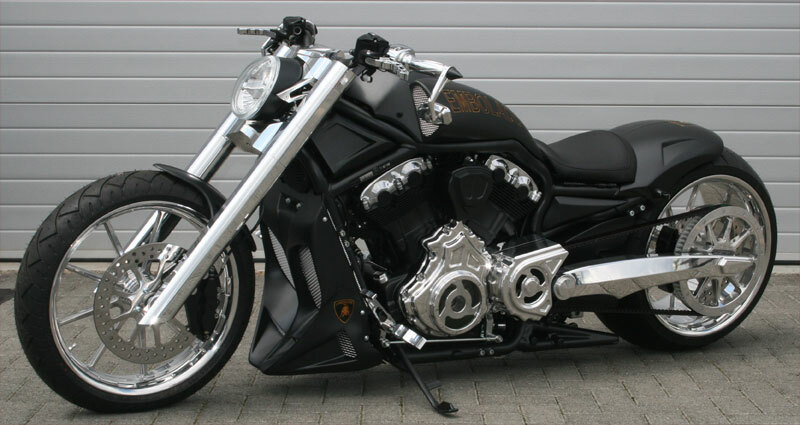 It looks great combined with any of our airbox covers. 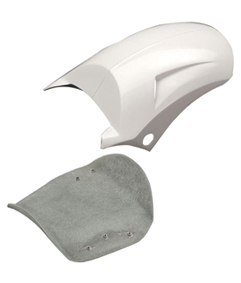 Kit includes rear fender, seat base and mounting kit. Please note the rear section cannot carry a passenger. What size tires are shown in these pictures? 300mm? 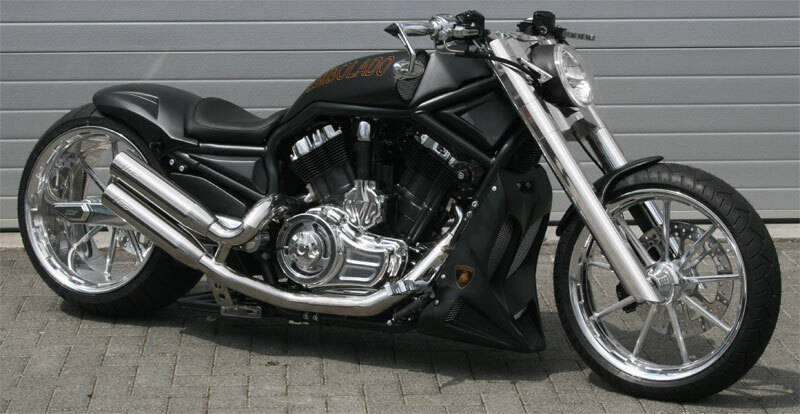 Do you have any pictures with the stock tire and air box cover? 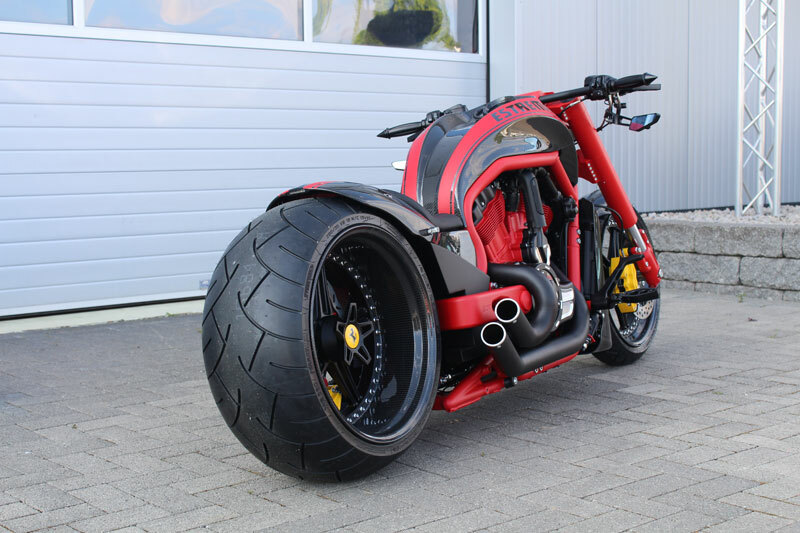 They are 300 tires, except the last custom bike one which has a 330. All pictures we have are posted on the website. 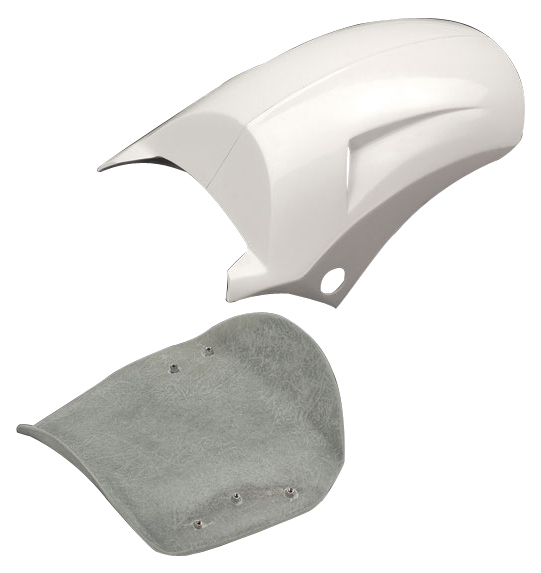 Can I keep the 2015 V rod muscle vrscf original air box cover and only change the rear fender? 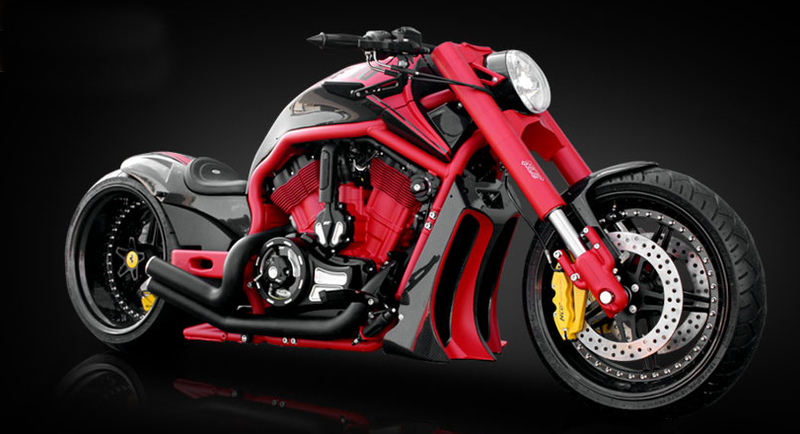 Yes sure, you can keep your stock 2015 V-Rod Muscle air box cover. 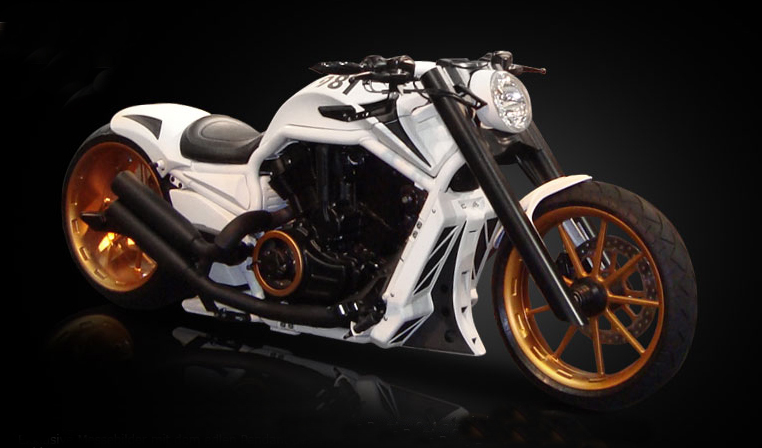 No need to modify the stock bracket, a new one is supplied with the Turbo Rear Fender Kit for V-Rod’s. The fender cannot support a passenger. Is it correct that there is a difference between the VRSCA 2006 and the VRSCR 2006 in moutning the fenders? Will this kit fit my VRSCR 2006 ? 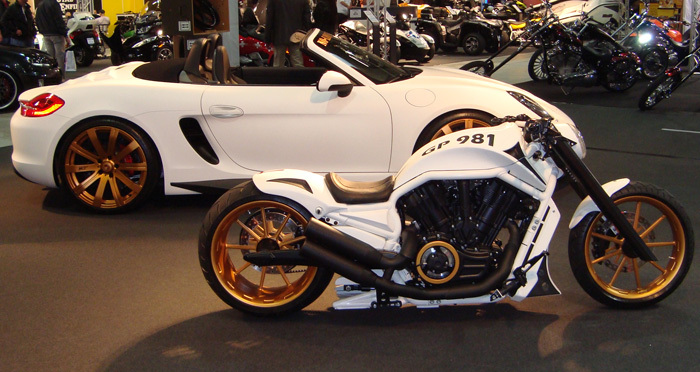 Yes, the Turbo rear fender can fit your 2006 VRSCR, no problem. Is this rear fender come with running/stop light ? If not is there are LED option I can buy from you guys? And last question do you guys offer custom seat option for that seat base? Thank you. 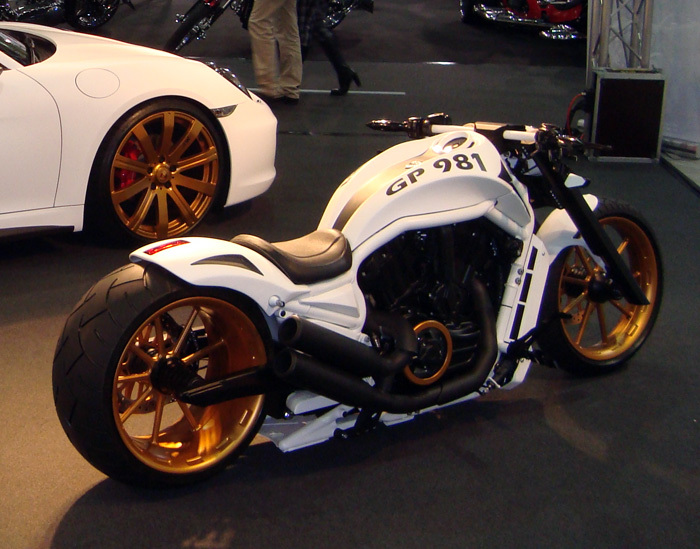 No, the Turbo Rear Fender for V-Rod’s does not come with a taillight. Sorry, but we do not offer seat upholstery services.